No, the couple have never sat together, here. Not even once, well, maybe just that one time when they first arrived. A pair of comfy chairs looks dynamite in the master bedroom. What a nice secondary focal point to the bed. It is nice to have a place to sit in the bedroom (besides the bed). The perfect place to toss a robe before climbing into bed. Comfortable enough for her five-minute morning check-in conversation with her best friend. He likes to put his socks on here. to tell them that she is back by curfew. A pair of chairs in the master. Do you have room in yours for this wonderful style vignette? This entry was posted on January 25, 2013 by Ellen at Color Calling. 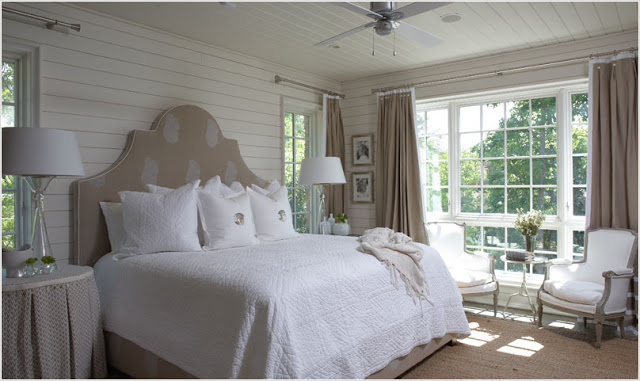 It was filed under Decorating trends, Residential styling and was tagged with master bedroom, pair of chairs.